I don’t really have the wherewithal to bend my listening habits into a broader cultural critique, but I suspect it’s waiting there for someone more ambitious than I. This list is not hashtagged clickbait—“The Music List We Need Right Now!” It’s simply a list of what moved me and kept me moving this year. While my list is unnumbered, I do have a clear #1. 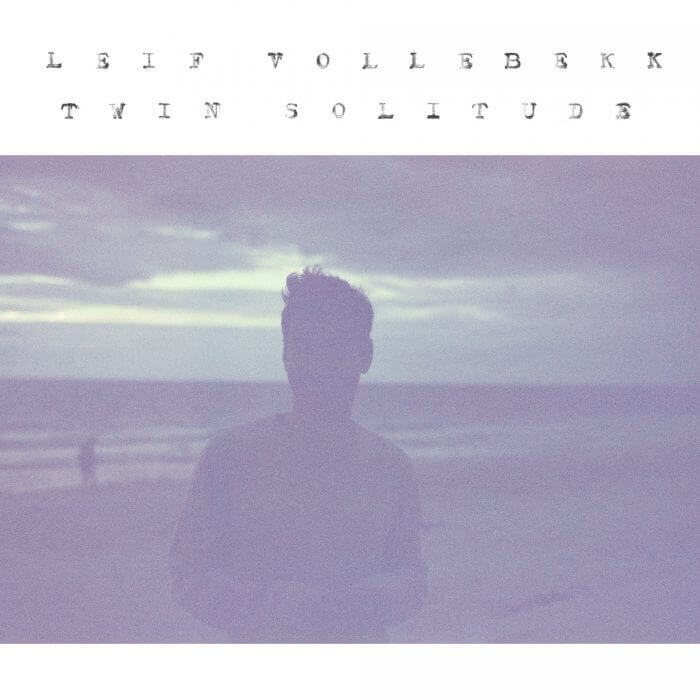 Leif Vollebekk’s brilliant, poetic Twin Solitude ruled my winter and shaped my entire year. I was surprised that I connected with Iron & Wine’s Beast Epic. Beyond winning album title of the year, it feels immediate to me in a way his recent music has not. “Call It Dreaming” is in the running for song of the year. Caroline Spence’s Spades And Roses is a quiet favorite. It soundtracked more afternoons and evenings around my house than any other album. Unsurprisingly, I’m digging Josh Ritter’s Gathering. It took quite a few listens before I felt the album as a whole, but now I do. It’s like a letter from a friend. “Train Go By” is devastating songwriting. The National’s Sleep Well Beast was highly anticipated in my house, and it did not disappoint. It stretches the band’s signature sound without them losing their heart. Perhaps a little too muted at certain points for my taste, before I drift away, inevitably some line or sound seizes me and pulls me back into their orbit. This year was the 20th anniversary of Radiohead’s OK Computer. The reissue was remastered and includes a disc collecting the stellar B-sides and three unreleased songs. Somehow the remaster perfects a perfect mix. It makes the organic-technological fusion even sharper. And the three unreleased songs, mythic in Radiohead fan circles, were worth the twenty-year wait. Twenty years ago, electronica flooded my music sensibilities; it’s now a quiet babbling creek. Not much electronica sticks with me anymore. A song here or there stands out like the final three-track suite of Bicep’s self-titled album. However, two albums did stand out to me: Bonobo’s Migration and Kelly Lee Owens’s self-titled LP. They provided the steady soundtrack to my work life. Days and nights can pass with Migration playing on your headphones. Both of these hip-hop albums are British. This has to mean something, right? About American hip-hop, about me, or both. Loyle Carner’s Yesterday’s Gone reminds me of old Mos Def. Good wordplay and playful music. Try “No CD” to start. Carner’s album shares a few things with Kate Tempest’s stunner, 2016’s Let Them Eat Chaos. Both believe in hip-hop not as salvation, but as a language that allows otherwise silent individuals to speak. And they both explicitly celebrate the diverse culture of the present UK. I don’t know what to say about the poet and rapper, Kate Tempest. I can’t do anything else when she’s on. She demands your attention. She demands your heart. And she rewards you for entrusting her with them. • Indie Folk: Jason Isbell’s The Nashville Sound, Joan Shelley’s self-titled, Laura Marling’s Semper Femina, John Moreland’s Big Bad Luv, Hiss Golden Messenger’s Hallelujah Anyhow, and Valerie June’s The Order Of Time. • Indie: The War On Drugs’ A Deeper Understanding, the emo lazy-afternoon of Slaughter Beach, Dog’s Birdie, and Rolling Blackouts Coastal Fever’s delightfully-all-over-the-place French Press EP. • This year, beyond the indie-folk-electronica trinity, a few albums on the edges of my taste left strong impressions on me: Natalia Lafourcade’s Musas and Sinkane’s Life & Livin’ It. I did like the iron and wine I forgot about that one. That got many repeats when it came out. I got to see Radiohead at the Santa Barbara bowl this year and that was definitely the highlight of the year for me so I’m right up there with you on the reissue. They played Subterranean Homesick Alien and I was in heaven. Need to check out those Brit rappers. I did play your September playlist a ton and there were some jems on there that I had. Ever heard so thank you for that. I like the way you organized everything. Same as Biff – need to check out these Brit rappers. I find British accents tough to listen to for long periods (I know I’m in the minority here), but maybe the lyricism will help overcome that issue. Been digging the new Caroline Spence thanks to you Antony. Great record for a mellow night at home. You definitely zeroed in on two of my favorite songs with “Call It Dreaming” and “Train Go By.” Overall, I think we had a lot more overlap this year than we usually do. Only one you listed that I didn’t really dig was Valerie June, and that was a voice thing. And I need to check out Bicep, because I don’t think I heard that one. You’re responsible for turning me on to Leif Vollebekk, and I thank you for it. Aside from the music itself, which is right up my alley, he’s the rare artist whose lyrics really set up camp inside my head. Thanks for the Leif Vollebekk credit, but I trace mine back to Mark who told me I had to listen to it. He was right.